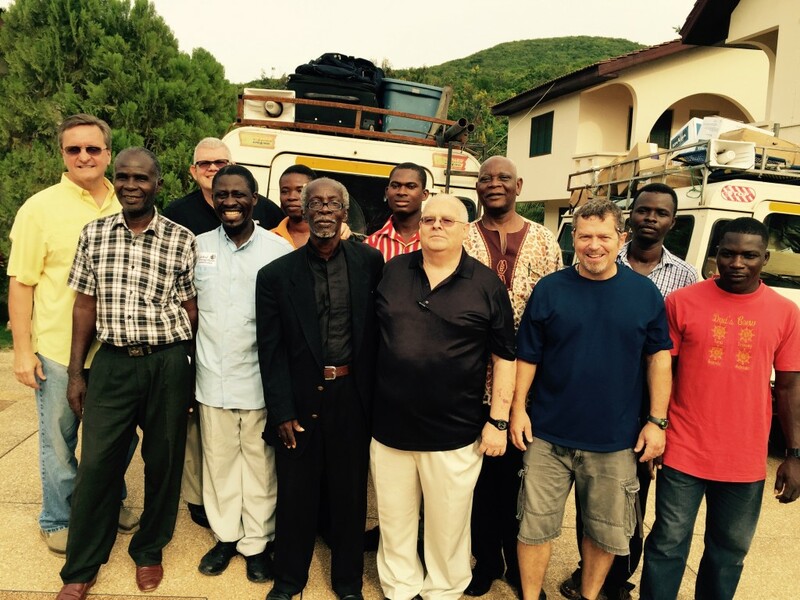 Our Ministry in Ghana begins… Again. [Asuom, Ghana] Our team (Jeff Andler, Craig Barker, Mark Chase, James McLean, David West, and myself) arrived safely in Accra on Saturday at 0700(GMT) 19 September. We thank God that our ﬂight from JFK was uneventful. After the typical activities necessary on arrival day–like exchanging currency and market shopping for the foods and supplies we might need out in the ﬁeld–we began our 125 mile journey to our project site. The roads were, as promised, very difﬁcult and dusty. The ruts and holes in the road made for enjoyable travel and reminded us that we were certainly in West Africa. By God’s grace we were protected and no worst for wear. Our hotel is good, by village standards, but still presents the regular challenges such as electrical outages and food requests. Each moment here gets easier as the staff is gracious and accommodating. All the team members are bonding well together and I feel certain that God is going to accomplish His will through us. Please pray for our ministry efforts. We conducted three ﬁlm crusades on Saturday evening where we were able to present the Gospel, face-to-face with over 1,400 people. travel will be difﬁcult and dusty. Pray for God’s grace, goodness, and guidance for us all. Continue to pray for our health, safety, and strength. Plans are that we will be in this hotel for one week before moving to our next ministry location. God bless you and thank-you for your faithful prayers.